The newly released conservation management title Monitoring Threatened Species and Ecological Communities, edited by Sarah Legge, David B. Lindenmayer, Natasha M. Robinson et al was recently awarded a Whitley Award Commendation for Conservation Zoology. The CSIRO-published volume contains contributions from 65 authors, including CeRDI Research Fellow Dr Birgita Hansen. Dr Hansen and co-authors contributed a chapter entitled “Shorebird monitoring in Australia: a successful long-term collaboration among citizen scientists, governments and researchers”, which charts shorebird monitoring in Australia from its origins in the 1950s and 1960s through to its impact on policy development and on-ground conservation actions. 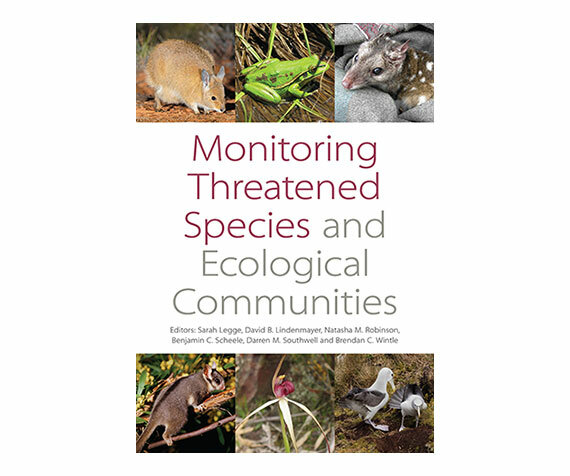 Additional chapters in the volume evaluate monitoring programs for threatened species across Australia, present case studies and bring together experts in the fields of biodiversity and threatened species management. The Whitley Awards are presented to the authors of outstanding publications that promote Australasian fauna and especially its conservation. The Whitley Medal and Special Commendation are the most sought after prizes in Australian zoological publishing*.